Learning to do business overseas with the support of the UKTI. Location: UKTI, Victoria Street, London. 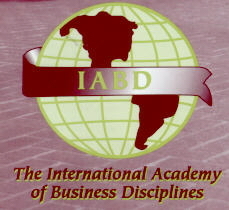 The 25th IABD conference will take place in Atlanta, Georgia April 11-13, 2013. Note the AWARDS. eBusiness people get in touch - and we can also help people find other tracks. 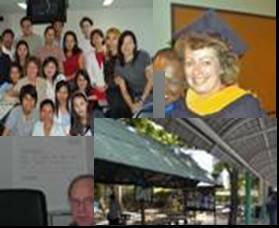 While most of our work is with international universities and colleges, we are frequently asked for help by individuals so in the 'Quick links' on the left, you will find a number of sections aimed at students - both 'traditional' and lifelong learners. 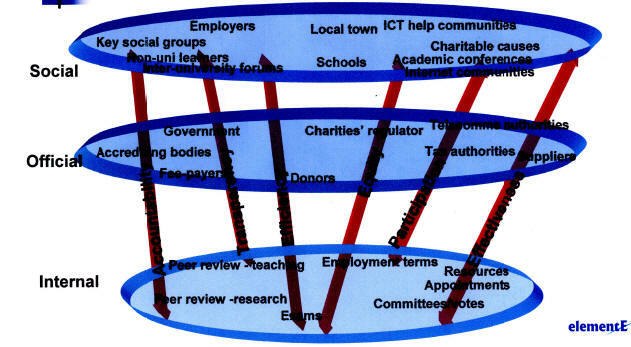 These sections are drawn from the experience of working with the programme design of universities and professional institutions all round the world so make the most of it and contact us to add to it if you would like to do so. This page is just having a very quick update while new material is prepared. It's alarming how much a website can age when daily using various social media to keep in contact with projects. Participation in the prestigious India-US Global Business and PR conference in Chennai saw our first use of picture-in-picture recording technology so that both talk and slides could be broadcast and saved to CD. Click for a less memory-intensive pdf version of the talk on the use of portfolios in lifelong learning. The historic university city of Salamanca, Spain, was the setting for discussion on university governance and marketing. Click for the basic model. Win an iPad. Use free apps developed as part of the EU-sponsored ROLE project. Write briefly about the results and be entered in a competition to win an iPad. Closing date 21 January, 2013. UNISO Call for papers for 2013 will be listed here.